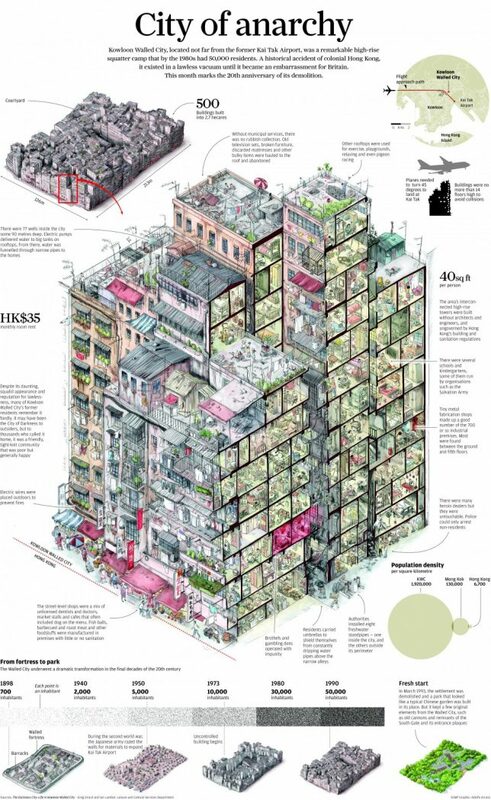 Once notorious both for its lawlessness and a maze of urban density so intense that sunlight couldn’t penetrate to its lowest levels, Kowloon Walled City was demolished in the 1990s, but a new version of it is rising from the ashes. 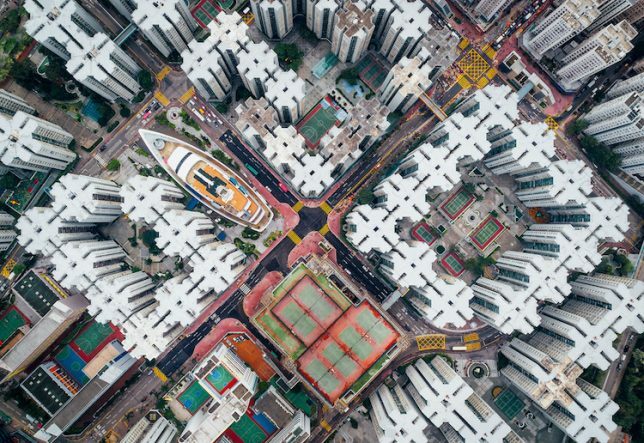 Standing in stark contrast to the modern towers of Hong Kong just beyond its borders, Kowloon was an autonomous ‘city of anarchy’ built up from the ground like lasagna. 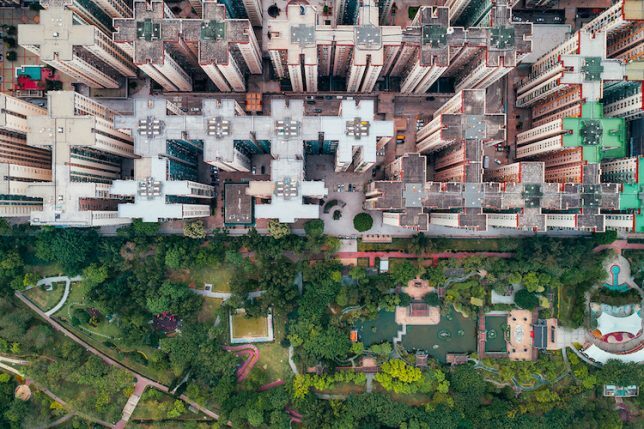 500 buildings were packed into less than seven acres, and there were no municipal services like trash collection or running water. 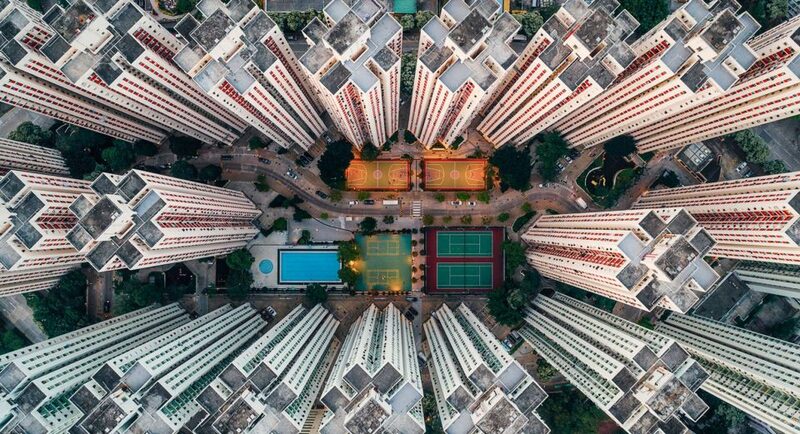 Outsiders called it the City of Darkness, and it certainly had a squalid appearance, but former residents remember it with fondness as a friendly and tight-knit community where everyone worked together to uphold their own poor but inventive society. 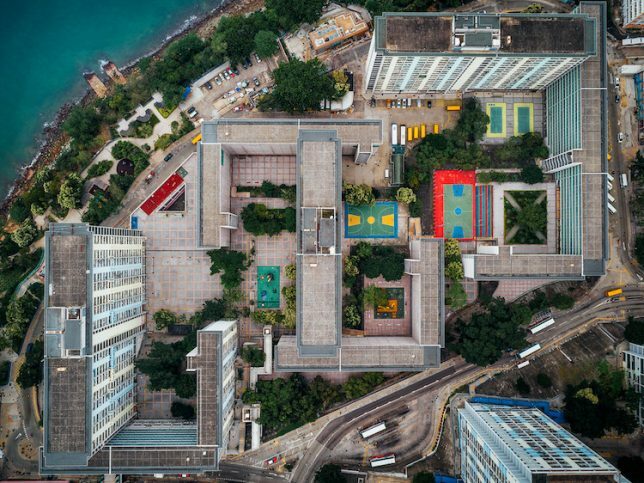 But Hong Kong (and later, Britain – check out our previous coverage for the history) wasn’t too fond of the fact that it was run by the mob and packed with gambling dens and brothels, not to mention concerns about its structural soundness. 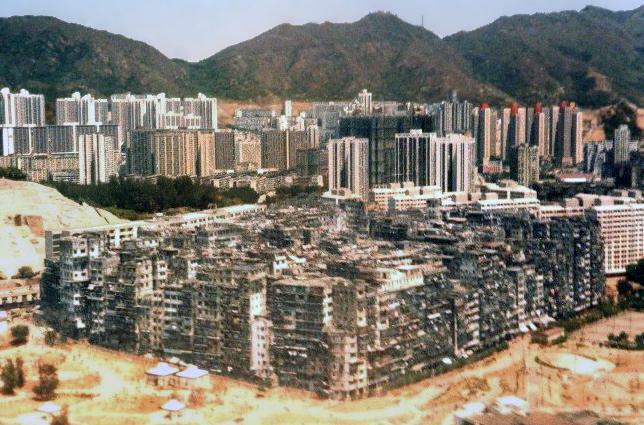 So in 1993, all 50,000 inhabitants were cleared out and the whole thing was razed to the ground. 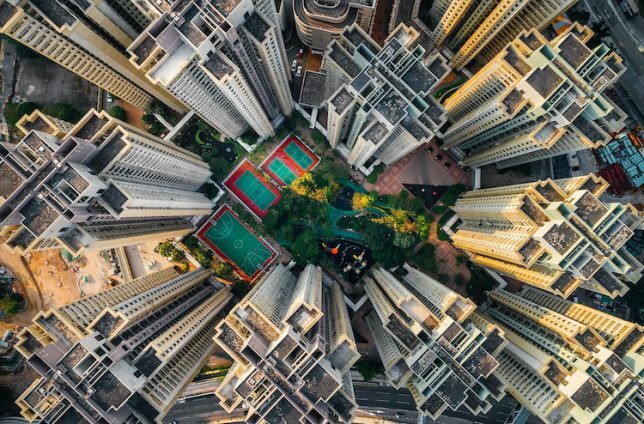 In its place came a 330,000-square-foot park full of paths and pavilions named after the city’s former streets and buildings. Ponds, gardens and floral walkways took the place of layer after layer of haphazard architecture. 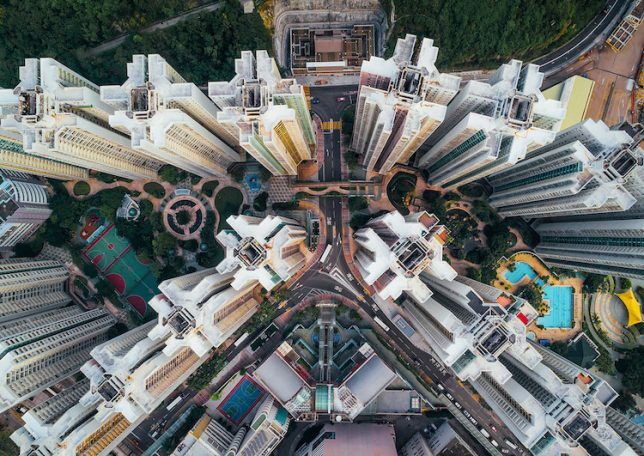 That park is still there – but it seems that the wild profusion of growth associated with Kowloon’s spirit couldn’t be contained. 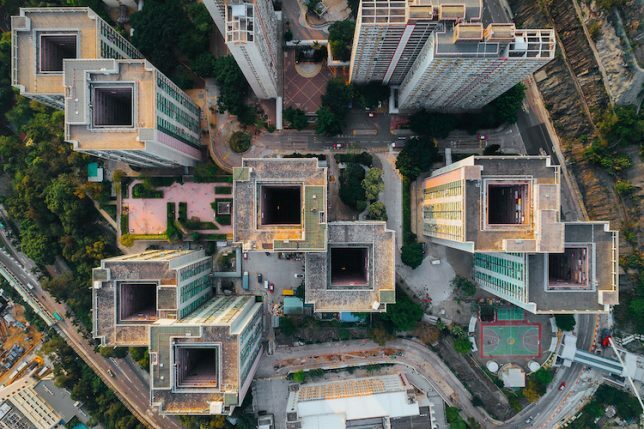 It may be modernized, with orderly rows of skyscrapers instead of a labyrinthine network of mismatched towers, but it’s growing more packed every year, and this level of density is creeping into the rest of Hong Kong, too. See the whole series at Andy Yeung’s website or on 500px.